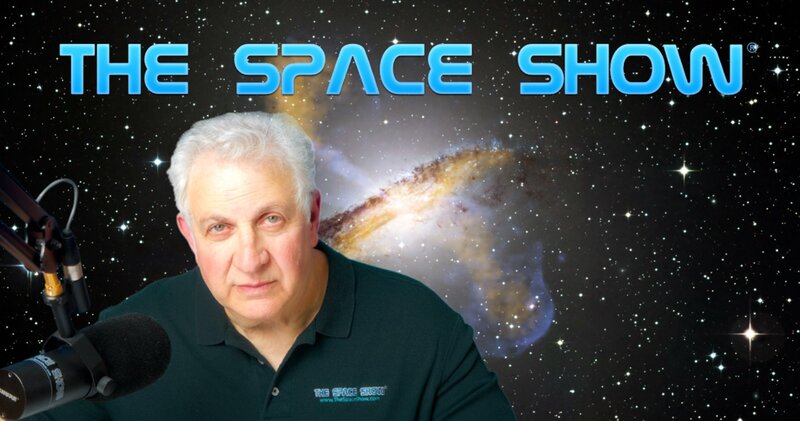 We welcomed Dwight Steven-Boniecki back to the show to discuss his new Apogee book release "Apollo-Soyuz Test Project: The NASA Mission Reports." Please note our discussion regarding the included CD and its contents as this is quite a bonus that comes with the book. We started the first segment discussion of our two segment 89 minute program by asking our guest why the interest in the ASTP which took place 43 years ago. Dwight said it was a mission lost in history but that it was an important and very significant mission. We spent most of the first segment talking about this. Dwight also referenced additional authors and websites reporting and commenting on ASTP. Some of what Dwight said was that many considered the mission a PR stunt. He also referenced the impact of the movie "Marooned" which Dwight said it was a mission lost in history but that it was an important and very significant mission. We spent most of the first segment talking about this. Dwight continued to reference additional authors and websites reporting and commenting on ASTP. Some of what Dwight said was that many considered the mission a PR stunt. He also referenced the impact of the movie "Marooned" which came out before the mission and told a Hollywood story about a Soviet rescue mission for American astronauts. Dwight said the actual impact of the ATSP at the time was little or none but in looking back at the mission and the timing of it, it supported international cooperation with other space countries at a time when there was largely conflict among these nations. Dwight did talk about the two years of cross training for the crew. The Russians spoke English for the mission and the Americans spoke Russian. Dwight commented that the Soyuz was largely automated but the Apollo capsule was manual and this was hard for the cosmonauts. They thought the Americans were "space cowboys" given all the manual skills and procedures as compared to the automated Soyuz capsule. Our conversation switched to the free included CD in the back of the book, the quality of the VHS imaging, the handshake in space and more. Before the first segment ended, I asked our guest about lessons learned on the mission. Dwight mostly talked about the special docking adapter and skills needed for the docking. He said the ASTP was ahead of its time. We talked briefly about the launches. The Soviets launched first followed later by the Americans. Our first caller was Brian Fiore that Dwight referenced earlier. You can check out Brian's Facebook site on ASTP at "Skylab, Apollo-Soyuz and 70’s Enthusiasts." Brian told some stories and talked about the RCM thrusters and the Soviets being convinced the Americans were space cowboys. He also talked about Skylab and the ATSP Soviet Commander Alexi. As we were about to go to break, Marshall called. He wanted to know the inclination of the ASTP but at the time of his call, nobody knew it. As the show was ending Marshall sent in a note with the inclination but I did not see it so I never got a chance to read it on air. I've asked Marshall to post his note on the blog but he said he researched it and the ASTP orbital inclination was 51.75 degrees. In the second segment, I again asked our guest why we should care about ASTP at this time when people wanted to go to Mars, were building new and bigger rockets by the private sector, a return to the Moon was now possible and more. Don't miss how Dwight responded to this question. We switched the topic and Dwight mentioned the experiments on ASTP and the fact that some had to be delayed until the shuttle started flying. He did mention a fish experiment and an artificial eclipse experiment. The topic of how the US and Russia see ASTP came up and the perspectives are different. Dwight spoke about the respect shown the cosmonauts by the Russians but not so much the same here in the US. Don't miss this important but short discussion. Dwight then brought up the Spacefest event scheduled for July in Tucson (see https://www.spacefest.info). Dwight said he would be showing his Skylab documentary movie at the event. His movie, "Searching For Skylab" has a website so check it out at www.searchingforskylab.com. The subject of challenges and problems for ASTP came up and surprisingly Dwight said the moon hoax movement hurt the interest in ATSP. Don't miss this fascinating discussion which also included a jab at the flat earth movement I asked Dwight if he had ever talked with any of the flat earthers. Don't miss what he said about his conversations with a few of these flat earth believers. Dwight talked about Skylab. One of the first questions I asked him was could it have been saved. We talked about the solar activity and other issues but listen to what he said as you might be surprised by his answer to my question about saving Skylab. Next, Linda sent in an email asking what type of future mission could be undertaken to have a similar or greater impact on us all than the ASTP had. Dwight did not hesitate in saying an international mission to Mars! We then talked about variations on a mission to Mars including by Musk and the private sector, through public private partnerships, plus a few other variations. As part of this conversation, Larry sent in a note referencing the negative press re the FH and Tesla launch and wondered how the negativity could be negated as he thought it was sure to follow on a Mars mission. Don't miss what Dwight said about this. Then a listener, Karen, asked about the use of private sector versus government astronauts and wondered if that would be a big deal or not. We spent several minutes discussing this proposition so don't miss it. Surprises may await. We ended our discussion talking about Skylab, the movie, and the website. Please post your comments/questions on TSS blog for this show. Dwight can be reached through me or the Skylab website.